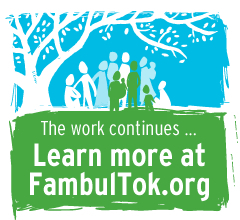 Filled with lessons for the West, Fambul Tok explores a culture that believes true justice lies in redemption and healing for individuals – and that forgiveness is the surest path to restoring dignity and building strong communities. 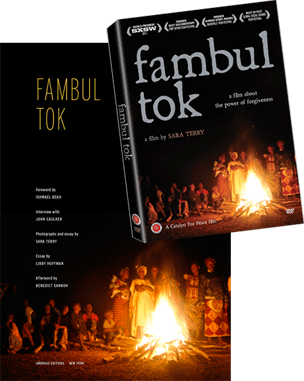 A hardcover companion volume to the acclaimed documentary film, Fambul Tok (the book) marks another chapter in the story of groundbreaking, grassroots peacebuilding in Sierra Leone. Featuring Sara Terry’s stunning photographs, the book offers an in-depth look at the origins, processes and significance of the Fambul Tok program by the program founders. Book and poster signed by John Caulker, Libby Hoffman and Sara Terry – while supplies last.